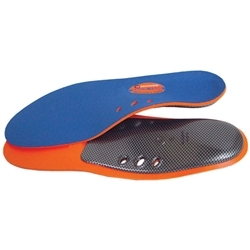 This insole is lightweight and provides optimal arch support using Poron® technology. The BioStatic antimicrobial coating inhibits bacteria, odor, and fungus. The Arch 1000 versatile design fits in dress, casual, and athletic shoes.